Here at the Morgan School, soccer has always been a popular sport but the team has never been able to finish off the season with a title. 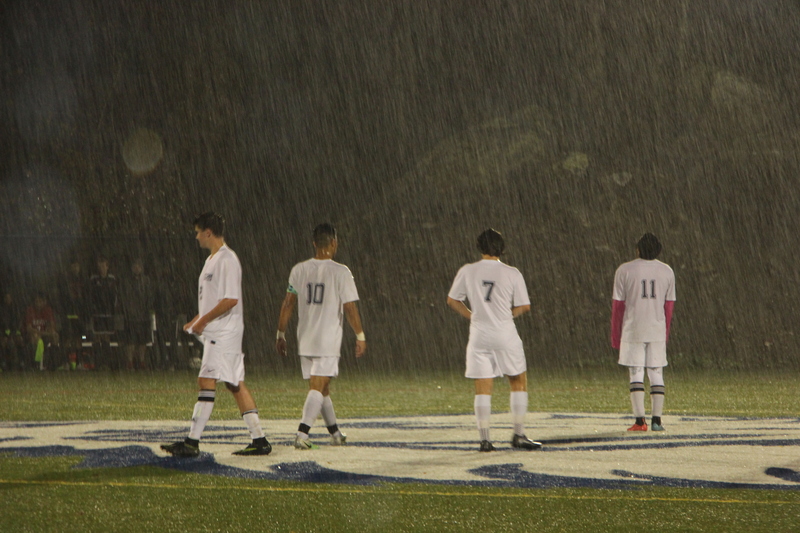 This season the boys soccer team had a record of 18-3-2. On November 4, 2017, our Morgan boys soccer team played Haddam-Killingworth in the Shoreline Conference finals. After winning against Old Saybrook (2-0) who went undefeated this season, Morgan went into that game with a lot of motivation. After the full and extra time, neither HK and Morgan defeated each other and they both got Co-Champs for our 2017 Shoreline Conference. After Shorelines, the Morgan boys soccer team entered the Class S CIAC states. After knocking out both Cromwell and Thomaston, the Morgan boys carried on to face Old Saybrook in the semi-finals. Prior to the game, junior Calvin Jackson said, “I’m a little nervous, but we know we can get the job done because we’ve done it before in the semifinals for Shorelines”. The semi-finals game was held on Tuesday, November 14 and is recognized as “one of the most exciting and emotional games of the season” by spectator Junior Kitty Shortt. The Morgan boys won the game after playing both full and extra time. The team was still tied 1-1 after overtime which forced both teams to compete in penalty kicks; sophomore Zach Tuccitto, juniors Carter Skidmore and Jack O’Sullivan, and seniors Juan Avila and Tyler Newfield each participated in the kicks. Morgan went 3 and 2 which took them to the championship game. The Class S championship state game was held in Waterbury on Saturday, November 18th. Morgan played against Somers. Throughout the entire game, Morgan was ahead, finishing off the game 4-0. Captains Juan Avila and Tyler Newfield scored 3 out of the 4 goals and the final goal was scored by forward, Zach Tuccitto. After the game finished, excited fans flooded the field to celebrate with their team. Overall, the Morgan boys soccer team had an exceptional season as they won in both the Shoreline and States conference. On behalf of the Morgan PawPrint, congratulations to the entire team on this spectacular achievement. This entire season has been an incredible experience to watch as history was made for the boys of the 2017 season since this was the first state championship for The Morgan School since 1964. Yo Rom, this article is dope.